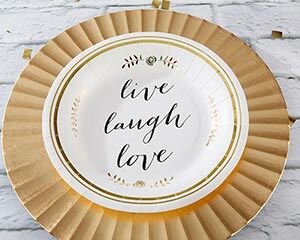 Spread joy at every table with Kate Aspen’s Live, Laugh, Love Paper Plates! In sets of 8, the paper plates are pretty enough for appetizers, but sturdy enough for dinner, and suit weddings, bridal showers, and more of all sizes! The plates have a simple floral pattern, gold foil border, and Live, Laugh, Love message in center. 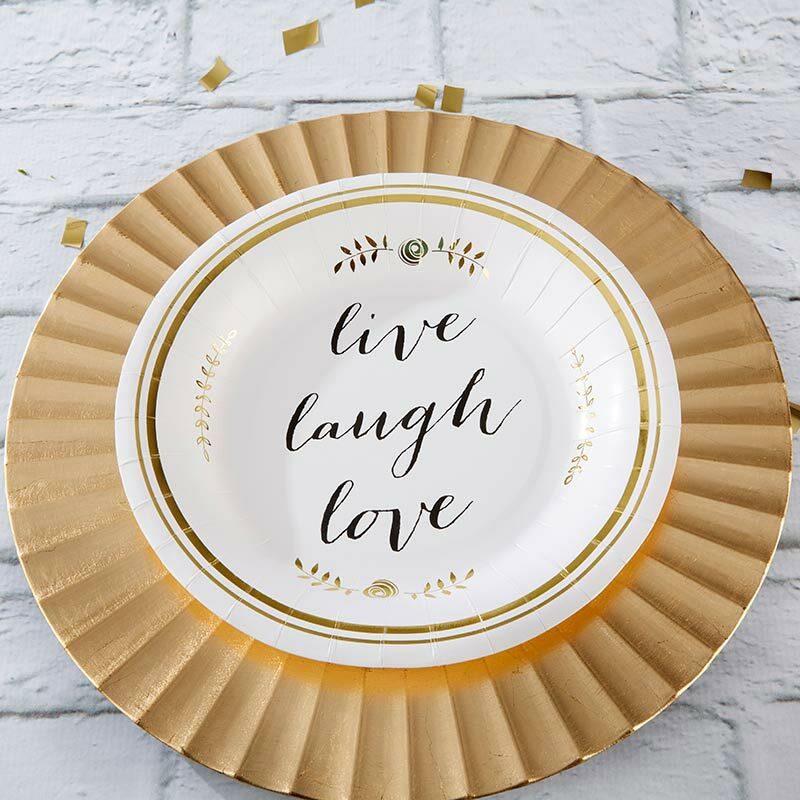 White cardstock paper plates with "Live, Laugh, Love" message in black and gold foil details.